Because the jobs report always shows the numbers for the month prior, today’s numbers are the first we have for 2018. We start 2018 with some good news from the Bureau of Labor Statistics’ monthly Unemployment Situation report. The unemployment rate for all Americans remained the same at 4.1 percent for the fourth month in a row. However, veteran unemployment rose slightly to four percent. 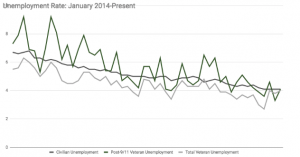 The post-9/11 veteran unemployment rate also rose to 4.1 percent this month. Male post-9/11 veteran unemployment is 4.3 percent this month, while the unemployment for women post-9/11 veterans is 2.6 percent. 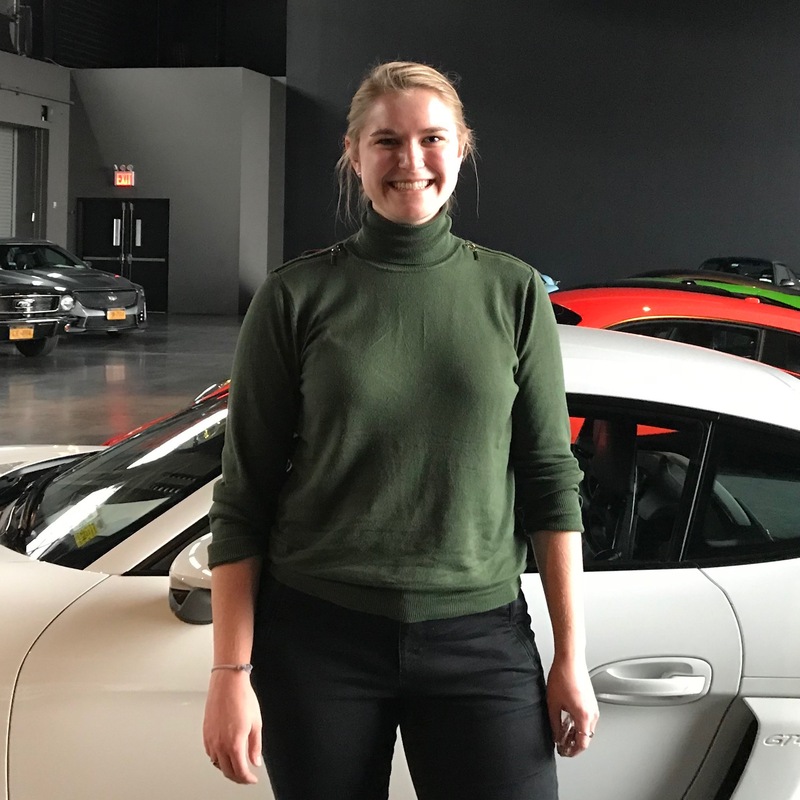 This is one of the lowest unemployment rates we have seen for post-9/11 women veterans, but as we have explored in other months, it doesn’t paint the whole picture. So while this is a great number, we will have to see if it continues in the months ahead. We have seen time and again that veteran employment is a top concern for IAVA members. 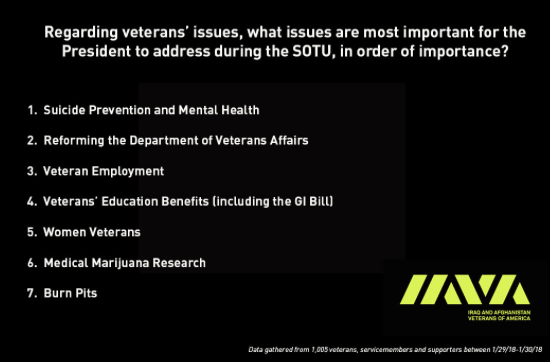 Before the State of the Union, we asked you what you hoped to see the President address related to veterans’ issues. Mental health and suicide was the top concern for the 1,000 respondents of our State of the Union survey, followed by Department of Veterans Affairs reform and veteran employment. You told us the same thing in our 2018 Member Survey, with veteran employment ranking third in the top issues impacting post-9/11 veterans. Veteran employment has been a top priority for IAVA for years, and we lay out our full position with recommendations in our Policy Agenda. Everyday, we share your concerns and talk about solutions with lawmakers on the Hill and leaders in the administration, such as the VA, Department of Labor, and Department of Defense. While unemployment among post-9/11 veterans has remained close to the national average this month, we know that’s not the whole story, and that our work isn’t done. Thank you to everyone who took our State of the Union survey. If you or someone you know needs help finding employment resources, our RRRP team is standing by.